Image credit: BtS, via Flickr. Between Frostbite in Michigan and Dota 2 qualifiers in Eastern Europe, the esports action continues across the globe this weekend, including some big matches in the lead-up to the Overwatch League’s first mini-tournament championship. The day’s matches begin at 5:00PM EST with Team Solo Mid vs. Clutch Gaming and end at 9:00PM with Echo Fox vs. Golden Guardians. On Sunday things resume at the same time with FlyQuest vs. Cloud9 while OpTic Gaming and Clutch wrap up the week’s action. OWL rounds out its fifth week with a handful more matches today, beginning with top teams New York Excelsior vs. Longdon Spitfire at 2:00PM EST, followed by Houston vs. Boston at 4:00PM and then Florida vs. Philadelphia at 6:00PM, with the Mayhem looking to pick up their second win of the season. Smash Bros. 4 will see plenty of action this weekend thanks to Frostbite 2018. The tournament sees pools begin today at 10:00AM EST with doubles top 8 play scheduled for 10:00PM tonight. Then on Sunday pools resume at 10:00AM with top 8 scheduled for 5:00PM. You can watch that tournament streaming below. CIS qualifiers for the Dota 2 Asia Championships are going on today with Na’Vi taking on Team Invincible early in the day at 9:00AM EST. Then it’s Vega Squadron vs. Gambit Esports at 12:00PM, followed by the rest of the quarterfinals. From there it’s straight into the semifinals followed on Sunday with Losers’ bracket matches starting at 9:00AM. Those games will stream here. 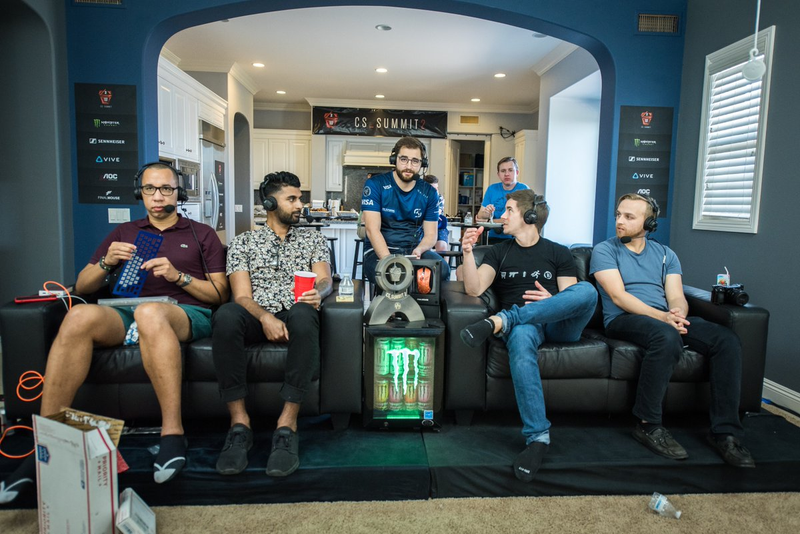 Beyond the Summit’s second Counter-Strike tournament takes place this weekend with SK GAming, North, Team Liquid, and Cloud9 gunning for the lion’s share of the $150,000 prize pool. The first leg of the Losers’ Round 2 begins today at 12:00PM EST followed by the second. Then SK Gaming and Cloud9 face-off at 8:00PM. The grand finals, meanwhile, are slated for 3:30PM on Sunday. Norcal Strongstyle takes place this weekend in San Jose, California with the best Tekken players in the country in attendance. Pools go on throughout the day with top 48 starting at 10:00PM EST, followed on Sunday by top 32 at 2:00PM. The main event meanwhile concludes starting at 9:00PM Sunday night. You an watch the tournament here. In week four of the spring season, Team Twelve get things started today by taking on Team Freedom at 5:00PM EST. Then LFM Esports and Tempo Storm play at 7:00PM. On Sunday matches take place at the same time with Simplicty vs. LFM followed by Gale Force vs. HeroesHearth. The racing sim holds its 12-hour Bathurst event this weekend as well. Going from 8:00AM EST Saturday morning until 8:00PM in the evening, the endurance tournament features GT3 cars and serves as the opening round of the International CT Challenge series worldwide. You can catch it live or on rebroadcast here. Finally, Nintendo’s Pokémon fighter has its Oceania qualifiers going on right now. Top 8 for that event begins Saturday evening at 5:00PM EST. You can stream all of the proceedings here.